Carrots, tomatoes, and basil are growing in our garden! 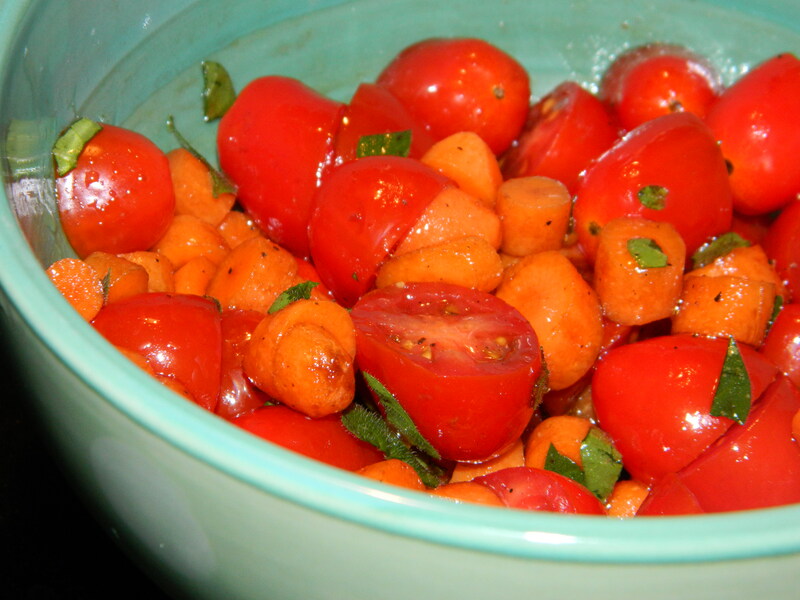 These summertime veggies create one of my husband’s favorite (and VERY simple) salads.Tomatoes contain high levels of vitamin C and K and biotin. Their antioxidant properties have been researched and found to decrease cancer risks and aid in bone health. Carrots are also high in vitamin K and biotin, but supply a tremendous amount of vitamin A giving the body a significant punch of antioxidants. Combine oil, vinegar, and s&p in a large bowl. Whisk together. Add tomatoes, carrots, and basil. Gently to stir to evenly coat. Refrigerate until ready to serve.